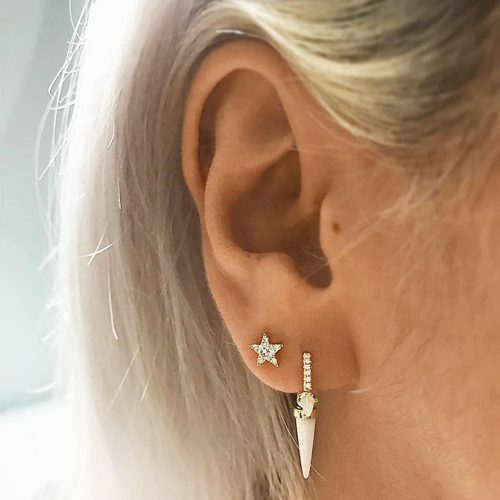 Lily Allen wearing a pair of Opal Triple Long Spike Eternity Rings with a Star Eternity and Diamond Star stud in her right ear lobe. 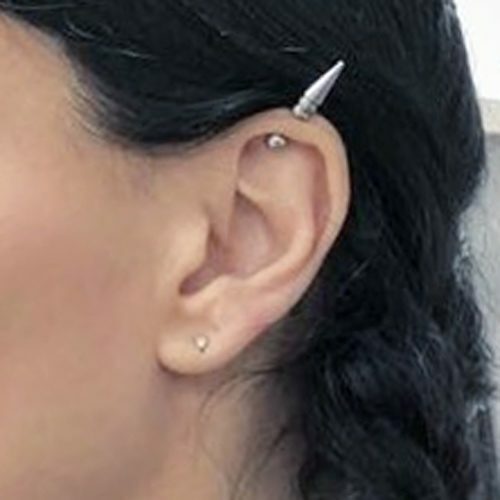 Cristina Scabbia wears a small stud ear lobe piercing and a spike piercing in her left cartilage. 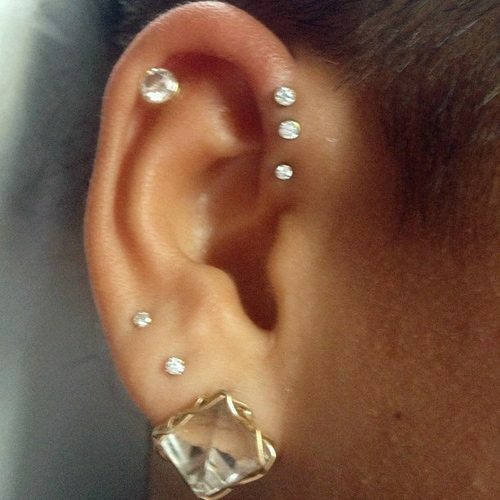 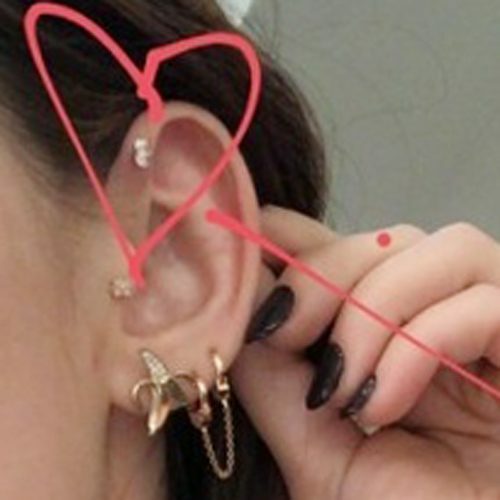 Becky G wears two piercings in her cartilage and two more in her upper lobe. 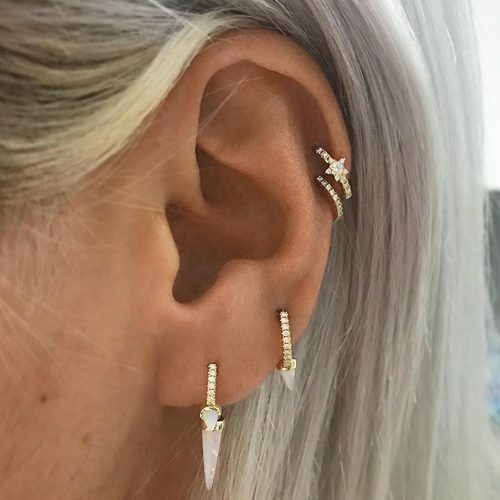 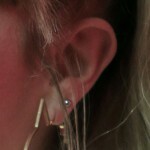 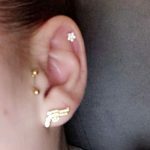 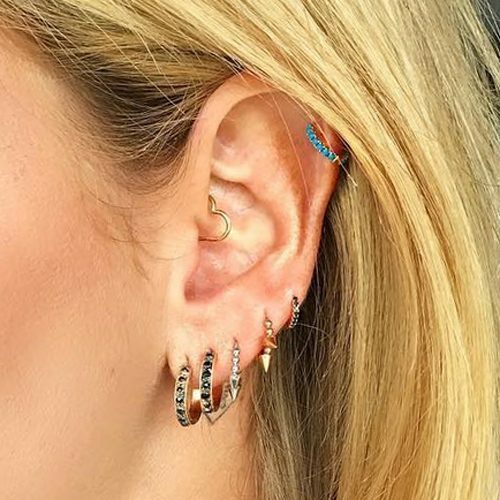 Chiara Ferragni wears a total of seven piercings in her left ear – five in her ear lobe and upper lobe, one in her cartilage and one in her tragus. 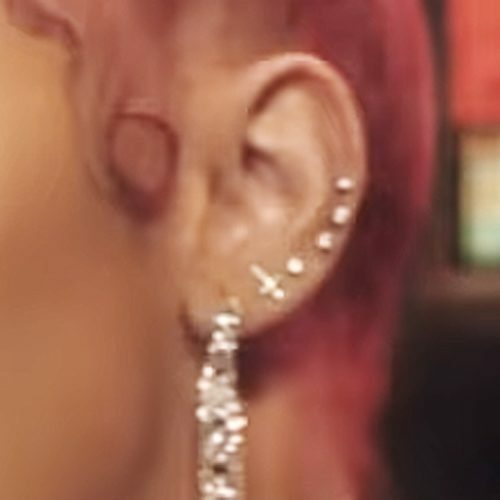 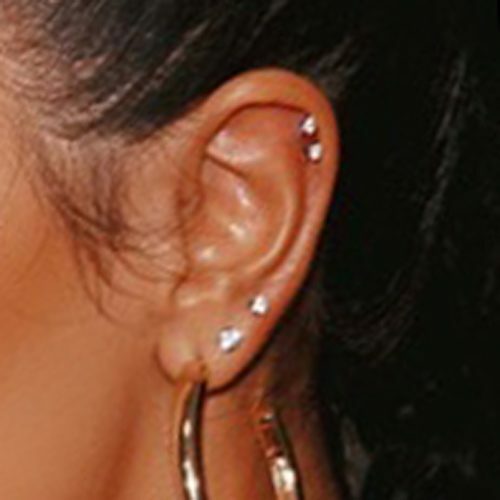 Cardi B wore five piercings on her left cartilage and a drop earring in her lobe in the music video “Drip”. 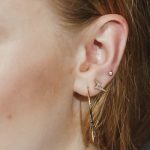 Jaime King wore a cartilage piercing, a jeweled earring and an upper lobe stud at the world premiere of ‘Rogue One: A Star Wars Story’ held at the Pantages Theatre in Los Angeles, California on Saturday, December 10, 2016. Danielle Bregoli wears two tragus studs, one cartilage jeweled stud and and ear lobe earring.